Our inventory of custom banners is large enough to meet the needs of companies, non-profit organizations and families of all sizes, so what can BannerBuzz do for you today? Newer businesses can drive excitement for their grand openings through the use of custom banners. You have many sizes to choose from, which means custom banners can be placed in a variety of locations. A vinyl indoor or outdoor advertising banner will give any business owner a return on investment because they are built to last for seven years. What is vinyl? It is a synthetic resin or plastic that is tough enough to take a beating but capable of being dyed a variety of colors. BannerBuzz recommends choosing a semigloss lamination option when designing outdoor signs and custom vinyl banners, whereas indoor signs should have a matte finish. Custom vinyl banners are the best way to increase visibility because they can be seen from far away, and if there is a street light near your storefront, it will be seen during the evening hours as well. Here at BannerBuzz, we want everything to be as easy for you as it can be. We are happy to guide you through each step of the standard banner design process through our web application. If you can't find answers to the questions you need answered, don't hesitate to call our experienced designers or customer service representatives. We stand behind our vinyl banners printing services, guaranteeing that your order will arrive in perfect condition, just the way you've ordered them. We are here to help every step of the way! You'll have a great time designing your personalized banners, whether you choose custom vinyl banners, mesh or any other type. Our promise to you doesn't end there. We will match any competitor's custom sign pinting price by 10 percent! We want to give you the best deal for your custom banners. 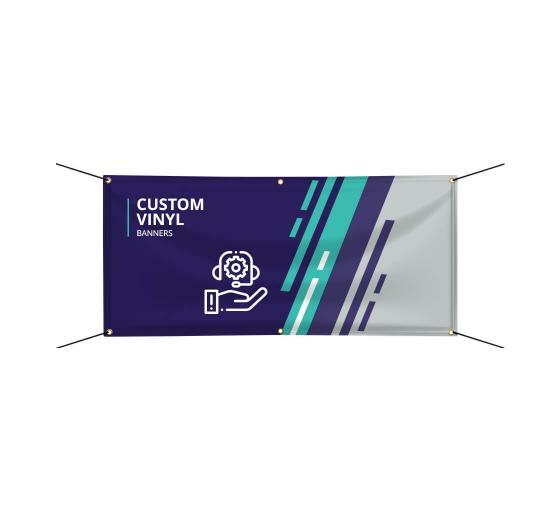 With our custom vinyl banners printing service, BannerBuzz can help you communicate with your community through finely crafted decals, signs or flags. If you're not a business looking to promote an opening or special promotion, that's okay! BannerBuzz has a large selection of banner templates for many environments, like birthdays, graduations, worship events, holidays and much more. We also have step and repeat banners. These large banners printed with custom graphics are commonly used by charities to promote their sponsors. Inspired to make your own custom banners? 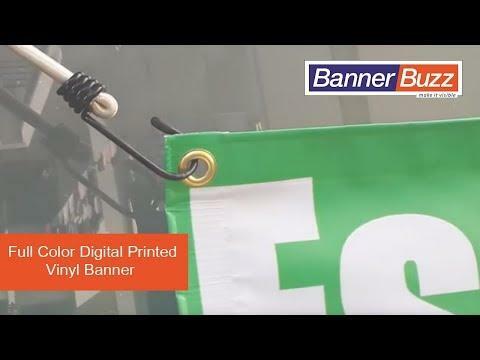 Through our web application, BannerBuzz will guide you through every step of our custom vinyl banners printing services. Our program gives such an accurate picture of our products that customers will continue to return to our website to make more. Our inventory of custom vinyl signs is large enough to meet the needs of companies, non-profit organizations and families of all sizes, so what can BannerBuzz do for you today?